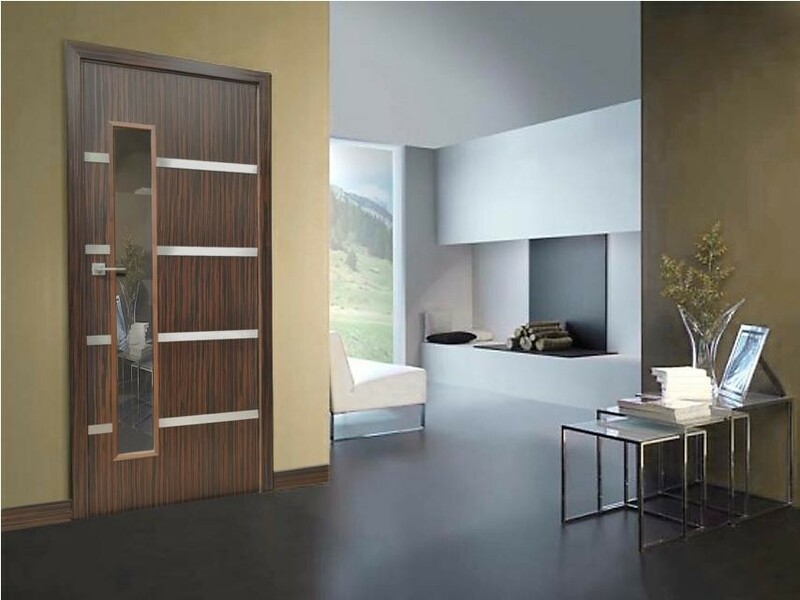 44mm bespoke solid core flush door with vertical grain veneer (main picture in Ebony veneer fully finished with A/c lacquer and picture 2 in Wenge veneer also fully finished) with 4 no. 50mm wide horizontal brushed aluminium Altofina laminate strips inserted flush into the door face. Vision panel positioned to the side of the door face circa 1600x150mm in size. 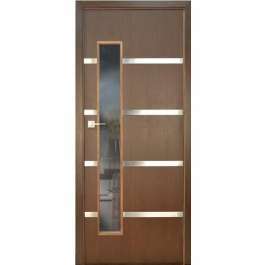 This door design can be manufactured in any available wood veneer. 3mm solid stainless steel or polished aluminium strips are available for additional cost upon enquiry. Glass supplied in either 6.4mm laminated for non-fire doors or 7mm Pyrobelite glass for FD30 doors. Standard glass options are clear or white laminated, however other glazing options are available on enquiry. Hardwood beads used are standard splayed and rebated cloak beads, pin fixed. Other bead options are available upon request. As well as our standard A/c lacquer finish we are also able to stain or paint our bespoke doors to a required BS/RAL colour or even match the stain finish to a sample provided. For further information or to receive an estimate please send a detailed enquiry. 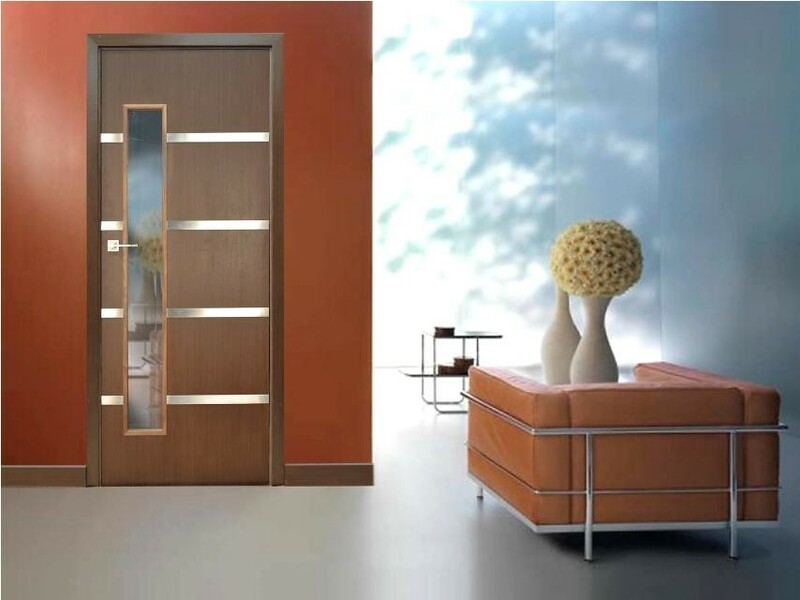 Should you require a veneer that is not listed, or for any other bespoke door enquiry please contact a member of our experienced sales team on 020 3150 3103.